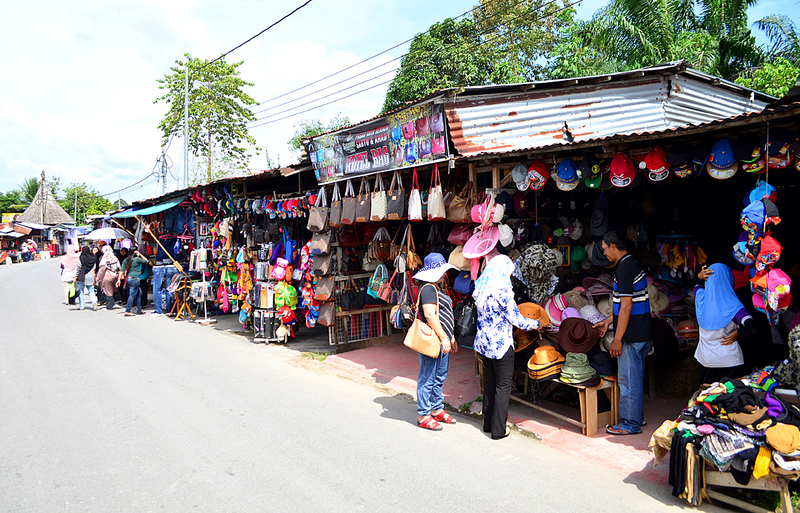 Having been around for almost 20 years, the Serikin town border market is truly one of Kuching’s local hidden gems. My first visit here was back in 2010 and as a local, I was quite surprised that a market of this calibre existed just our of Kuching city. A recent trip back to the Serikin Border Market in October 2017 was even more exciting as I had looked forward to coming back once again, to see if there had been any changes, and to my surprise, there were. The market grew larger, in terms of more vendors. 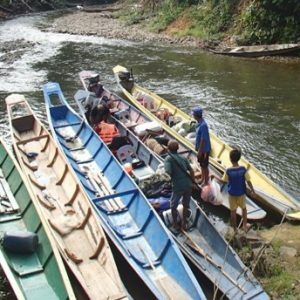 If you did not already know, the Serikin Border Market is mainly operated by the locals of Kalimantan, from across the border and also the local Sarawakians. 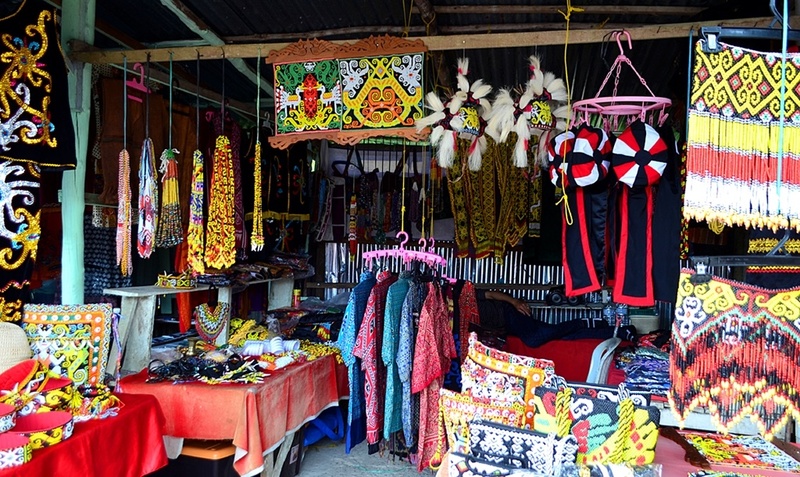 Items sold are mainly catered to the local Sarawakians and the occasional tourist from Peninsular Malaysia. 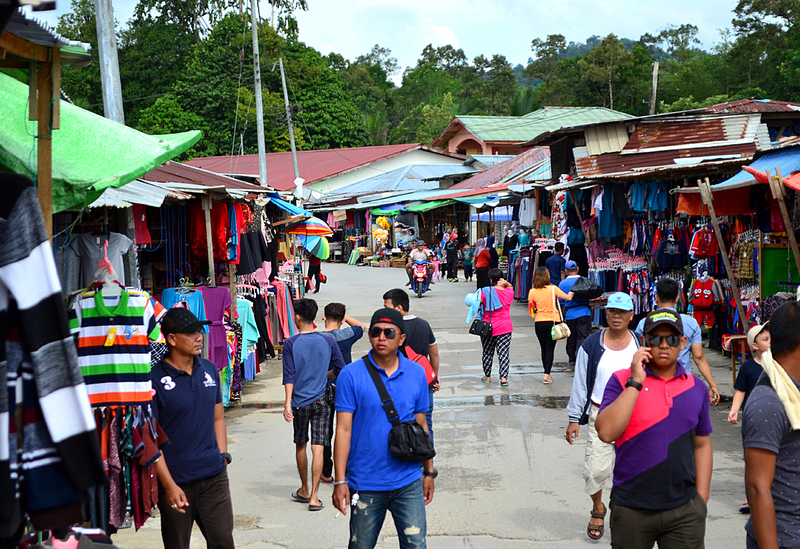 This rustic and very localized market caters mainly to the local Sarawakians, where products are brought in from Indonesia and sold at the border market which stretches about a kilometer long. 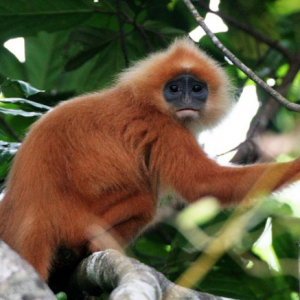 From Kuching, it takes about one and a half hours drive through some of the local villages and towns. What can you find here? 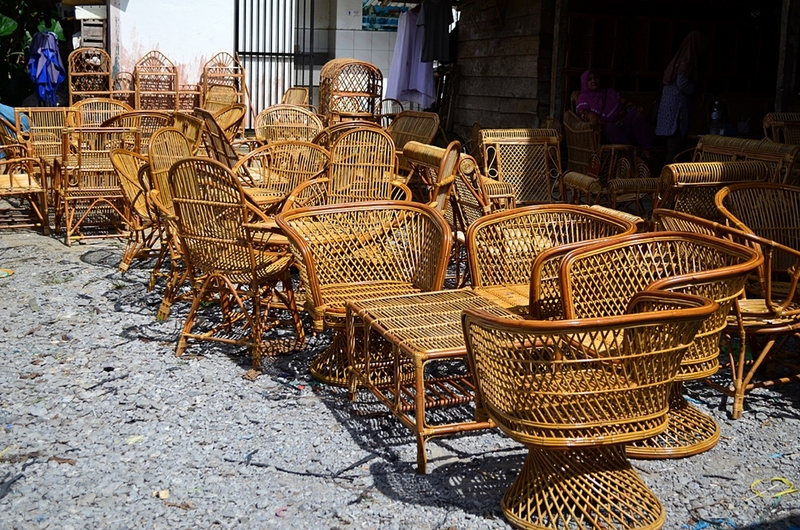 Generally, a good combination of household items ranging from kitchen utensils, comforters, curtains and rattan furniture is spotted all over the market. Apparels for kids, men and women are also in abundance, but do not expect high street fashion. 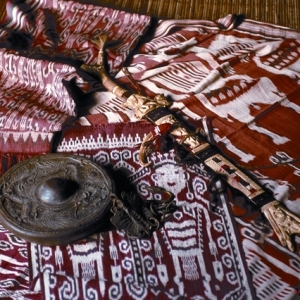 A number of Muslim religious prayer items are also sold by some while the local traditional medicine men can also be spotted selling some oils and cream. Costume jewellery for the budget savvy consumer can also be found here. 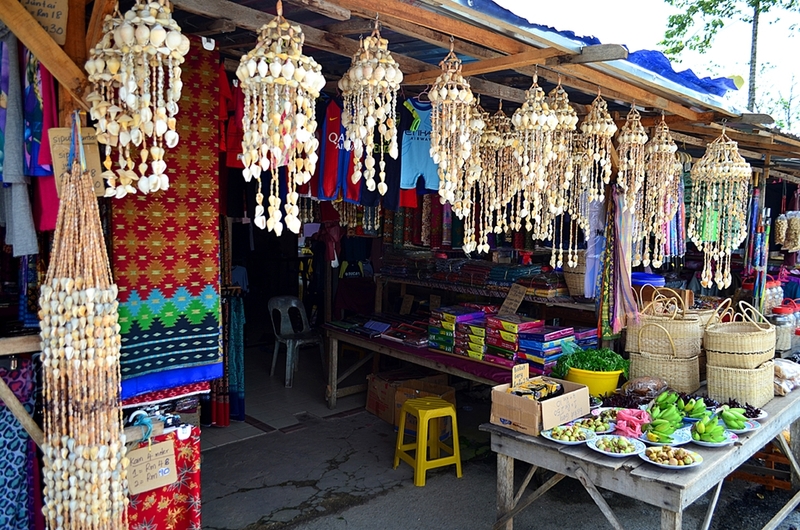 A couple of stalls were seen selling local traditional Dayak handicraft and accessories. 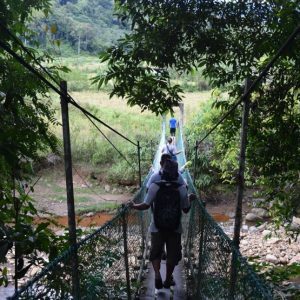 Serikin is a border town that is located very close to the earth’s equator, hence over here, it can be extremely hot and humid. When I was walking here, I felt as if I was in an open air sauna, perspiring every step of the way. I would advise for visitors here to bring an umbrella and drink lots of water to avoid being dehydrated. For the international tourist, this place is worth a visit if you love all things markets, probably just to walk around and see how a border market operates. Who knows as you may even pick up a souvenir or two here. Best is to go early, before the mid day sun or late in the evenings before they close around six. 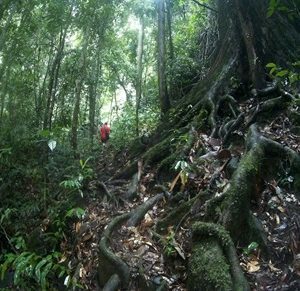 There are some tour companies that offer local tours here, but I would recommend you rent a car and self drive here as it is quite easy. 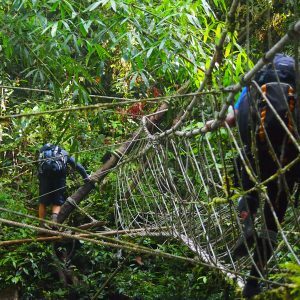 Overall, it is an experience worth doing if you have the extra time in Kuching. 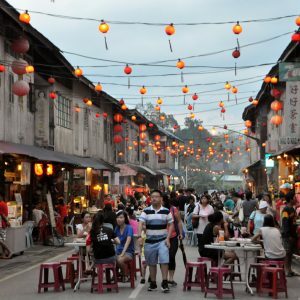 You will not see the common tourist, but more locals, Singaporeans and Malaysians coming here for the great prices being offered. Serikin border market only opens on the weekends and does get crowded especially during the school holidays and festive seasons. There are only local Indonesian restaurants found here and very casual type restaurants or coffee shops.